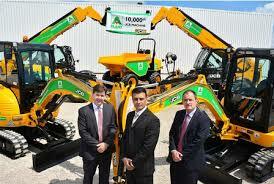 Looking to sell a Hyundai digger or excavator? Do you have a Hyundai for Sale? Is your Mitsubishi digger or excavator for sale? Want to sell your Mitsubishi digger or excavator? Sell My Digger will buy Hyundai diggers for sale. These prestigious pieces of equipment have a great history and reputation and we will gladly buy yours for cash today. Hyundai is a South Korean company which is mainly associated with cars, however Hyundai Heavy Industries is a division of the larger company which deals with machinery and equipment for industries such as construction, mining and more. Construction Equipment and Development became part of the Heavy Machines Division in 1985, and separated from the motor company in 1999. Over the last 30 years, the company has grown and produced a variety of excavation and other machinery to companies all over the world, reaching almost half a million units of equipment produced. We are keen to speak to anyone who has any of these Hyundai diggers or excavators for sale. 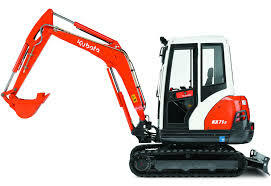 So if you no longer use your Hyundai digger or excavator, be sure to get in touch. Simply let us know some details about your digger, along with pictures if possible, and then we’ll get in touch with you as soon as we can to offer you a top cash quote. There’s absolutely no obligation to take us up on our offer, but at our rates and speed of service, you’d be hard pushed to find a better deal on your digger. Give us a call today to discuss our digger purchasing service.